Electrical muscle stimulation started to receive a lot of attention over the past few years due to its benefits in certain areas. This technique has seen great results when used to help with rehabilitation, improve muscle mass and strength, testing muscular function and many other applications. 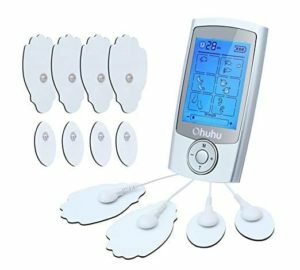 In fact, it can even be beneficial for a healthy individual when used at home which is why we can now find muscle stimulators that are designed for everyday use. This happened mainly because the US FDA has to approve all the devices on the market which guarantees that they are safe to use, do not cause any harm and work as intended. It is important to note that the scientific community rejects any claims that electric muscle stimulation helps with weight loss. These devices will not burn fat but they will help the muscle mass, deal with atrophy, lack of mobility and muscular adaptations. For our list, we picked several different models of muscle stimulators. Some of them are inexpensive while others can be really pricey. 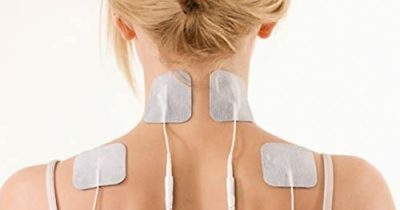 The more expensive ones are medical grade muscle stimulators that can be used for any kind of recovery activity while the cheaper ones are made for domestic use. The way they work is quite simple and easy to understand. Each muscle stimulator unit comes with special pads that conduct electricity. The unit sends electric impulses to each pad. When placed onto the skin, the electric impulse causes the muscles to contract involuntarily. This type of muscle stimulation can occur even if the user feels fatigued. It can push the exercise to the limits which can be a good and bad thing at the same time. It was done correctly, the stimulation should greatly improve muscle tissue health, mobility and even help with recovery. All units work the same way but the amount of electricity delivered can vary a bit. We included multiple devices that are all safe to use and quite reliable. Here is our list of the top 10 best muscle stimulators in 2019. Complex Edge Recon muscle stimulator is a medical grade unit that can also be used safely at home. The device comes with 3 different programs to achieve different levels of performance and cardiovascular fatigue. Inside the bundle, the kit includes 12 snap-on electrodes that can be installed individually. The unit itself comes with large buttons that are intuitive, a large display and an easy to use menu. One more important aspect is the fact that it is compact and very easy to carry around. 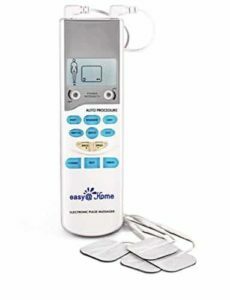 FDA TENS EMS muscle stimulator kit is a good pick for the ones that are looking for an affordable and easy to use a product. It is a 2 channel device which means that it can have 2 electrodes attached at a time. The large display contains plenty of indications while the 12 built-in programs and adjustable intensity settings allow for a wide range of exercise types. The model also has a timer and was designed to be portable. For the ones that are concerned, the muscle stimulator is FDA approved. 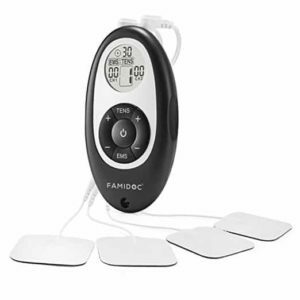 Famidoc has several decent electronic muscle stimulator but their EMS combo unit is by far the most popular one. It has a simple design and a very compact form factor. Basically, it can fit in a pocket. 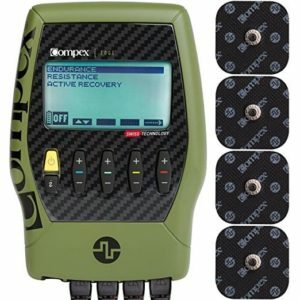 The unit is a 2 channel stimulator and can have up to 4 electrodes attached that work in a pair. On the unit itself, several buttons have been placed to control the intensity level and the frequency which allows for a multitude of exercise types. To use the unit, 3 AAA batteries are required and are not included in the kit. The electrodes are made using a rather poor quality plastic material. It gives the impression that it will just fall apart after some time. Still, they should last for a while and maybe it would have been a good idea if the manufacturers included extra electrodes in the kit. 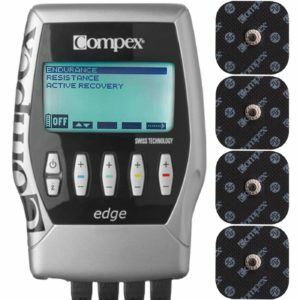 Compex Edge muscle stimulator kit is one of their more affordable medical grade products. It has a very simple menu with a large LCD display, control buttons, and built-in programs. The unit can have 4 electrodes connected at a time and each electrode can have its intensity and frequency adjusted individually. The kit is battery powered and inside the kit, two types of electrodes have been included. There are 8 regular electrodes and 4 double ones. The problem with this particular unit is the electrodes used. They have special electrode snaps that are only used by Complex. What this means is that when new electrodes are needed, they need to be purchased from Complex and they are much more expensive than standard or generic ones. SUMGOTT muscle simulator is a good pick for the ones that are on a budget. It is a simple device that makes it very easy to exercise a bit at home. It has a large LCD screen with simple instructions and an easy to understand control dial. 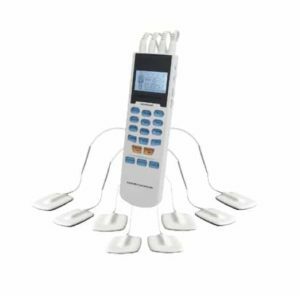 The muscle stimulator works with four individual electrodes and features no less than 16 pre-defined programs. It also allows the user to adjust the strength levels. To make it even easier, the unit also has a timer that can be set anywhere from 10 to 60 minutes. The intensity levels are not that high. It does help contract the muscles but the exercises are not that intense. The ones that are looking for something more serious might want to look at more expensive models. Ohuhu rechargeable electric muscle stimulator is a very simple model with all the basic features. The model has a large LCD screen and supports up to 4 electrodes connected at the same time. It is an FDA approved model with adjustable frequency and intensity. It also has pre-defined programs and it includes additional spare electrodes that have a snap on a system to make them easy to install. The unit is also quite inexpensive and perfectly suited for use at home. The LCD screen has multiple indicator icons that should tell the user the current settings. Unfortunately, it is kind of difficult to figure them out. They are not exactly intuitive and they are a bit small. The user manual can help sort things out a bit. Easy@Home is well-known and trusted a brand. Their electronic muscle stimulator is both inexpensive and quite decent for use at home. The device has a small display that shoes just enough information and large buttons that are easy to read and understand. It is an FDA approved the device that works with 4 electrodes at a time and needs 4 AAA batteries to work. Having a compact form factor makes it very easy to carry around and use whenever needed. Even when using a fresh set of batteries, the unit does not work for all that long. It consumes the batteries quite fast. The solution is to get multiple rechargeable AAA batteries and swap between them when they get drained then recharge them again. 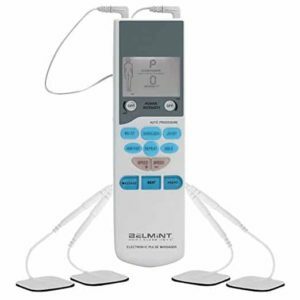 Belmont electronic muscle stimulator is a great option for the ones that want to exercise or recover at home. It is a cheap and effective model that works for quite some time using 4 AAA batteries or it can be powered directly with a 6-volt wall adapter. The kit includes a set of batteries, 4 electrodes and the unit itself. The stimulator allows for the frequency and intensity to be adjusted and features multiple pre-defined programs. One surprising fact is that the electrodes appear to work better without applying any kind of gel on the skin. The model was designed to work at small intervals. Basically, it works for a few minutes then it stops after which it starts again. This cycle is the only way the simulator works. It appears that the manufacturers simply forgot to add a continuous massage mode. 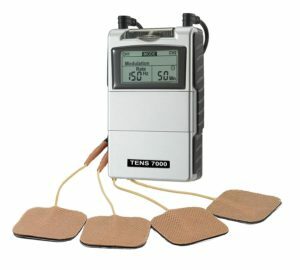 The United Surgical Tens 7000 is one of the most popular muscle stimulators on our list. It is a medical grade unit with a modest price tag. The device is a bit bulky but very easy to use and it can still be considered portable. Inside the bundle, there are included 4 individual electrodes, wires, a 9-volt battery and the instructions manual. The unit offers 5 operation modes and 2 strength settings. A useful feature is the fact that it can record time and sessions. The muscle stimulator is quite big and bulky. Being a battery powered device means that it is portable but it is not as compact as some of the other models in our list which can be a bit inconvenient for the ones that plan to use it while holding it in a pocket as it is quite large. HealthmateForever YK15AB is by far the most popular muscle stimulator in our list. It is extremely cheap and works very well. In fact, it is one of the few models that include spare electrodes. It comes with 8 electrodes but only 4 can be used at a time. The model has a small LCD screen and large intuitive buttons. As expected the model has built-in programs and adjustable strength levels. The model is very easy to use. All the buttons have writing on them which makes them very intuitive. However, they are just too many compared with other muscle stimulators. This makes the whole unit unnecessarily large. If the menu would have been simplified, had fewer buttons, the whole unit would have been half the size. Battery life: Since most muscle stimulators are meant to be portable, they run on batteries. This means that their runtime can vary a lot depending on the type of batteries used and how energy efficient the muscle stimulator is. Programs and strength options: Most models have pre-defined programs which are great. The number of supported programs will vary. Intensity levels and frequency are adjustable on almost all muscle stimulators.